acquired a 49% stake in Italdreni – Greenvision Ambiente Group, listed on the Italian StockExchange. The transaction value is 12 million Euros. confirms our business development and investment strategy with a goal to strengthen ourinternational leading position in geotechnical engineering. During the year in which our companycelebrates the 130th anniversary of its establishment, we plan to be prepared for the expectedrecovery of international markets and this transaction is part of such a plan>>. In 2008, Italdreni –having its offices in Cavriago – had a turnover of 16 million Euros, with a production facility in SanPolo d’Enza (Reggio Emilia) employing 34 people. Italdreni specialises in the production andmarketing of geosynthetics for soil conservation (gas and water drainage, prevention ofhydrogeological instability, pollution and erosion control) and holds an extremely sophisticatedtechnology which is unique in the world. 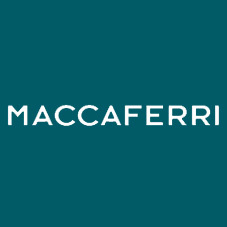 In 2008, Officine Maccaferri achieved a consolidated turnover of 349 Million Euros, with a 20%increase against 291 Million Euros in 2007. At present, it has 2,181 employees, with 47 subsidiaries and 24 production plants all over the world. Officine Maccaferri was established in May1879 under the name “Ditta Maccaferri Raffaele Officina da Fabbro” and is now an Italian industrialcompany of international importance. Officine Maccaferri researches, designs and developssolutions to work out problems linked to infrastructure market, erosion, soil reinforcement andstabilisation. Its range of applications covers river bank protection, infrastructure works for soilreinforcement, rockfall protection systems, channels, dams, landfills and coastal protection againstmarine erosion. Officine Maccaferri contributed to many projects of worldwide importance, among which, in Italy, the MO.S.E. project in the Venice Lagoon, the crush barriers to protect the railway line (in thesections adjacent to the motorway) in the Milan-Bologna and Milan-Turin high-speed rail lines.Officine Maccaferri is also involved in sub-sea gas pipelines connecting Italy with Algeria, Tunisiaand Libya, in partnership with customers like Snam Progetti and Saipem. Officine Maccaferriprovided solutions to reinforce tunnels in the Bologna-Florence high-speed rail line, the Salerno-Reggio Calabria motorway and in the underground lines in Rome, Madrid and Barcelona. Important soil reinforcement and hydraulic works were made in the sites of the Sydney OlympicGames (Australia) 2000, and of the Winter Games in Turin 2006. In other market, we would like tomention in particular the 24 km-long river lining of Rio Tiete in Brazil – an important navigationchannel within the city of San Paolo, the projects in India for Noida Bridge, in New Delhi, and along the railway line between Mumbai and Pune, and, in the U.S.A., the project for the reconstruction of a bridge that collapsed in 2007, in Minneapolis. Officine Maccaferri is 100% controlled by S.E.C.I. Spa, the Maccaferri Group holding companyemploying 4,490 people, and achieved in 2008 a consolidated turnover of 1,211 Million Euros. TheGroup activity breaks down into seven sectors: Environmental Engineering (Officine Maccaferri),Mechanical Engineering (SAMP Group), Real Estate and Construction (SeciRealEstate), Food(Eridania), Tobacco (Manifatture Sigaro Toscano), Energy (Seci Energia) and Biotechnology (Gnosis).